In the amusement park’s maintenance area, I learned that the park was experiencing a rash of motor bearing failures. With such a long operating history, it was surprising to find this sudden uptick in problems. I brainstormed some possible reasons with the maintenance team and was told, “Our motors had been running great ever since Henry took over the motor rebuild program.” When I asked if we could discuss the issue with Henry, I was informed that he had retired the previous year. With a little more investigation, we discovered that Henry had been personally sending a new tube of grease with each motor sent out for rebuild, attaching it to the motor with duct tape. When Henry retired, this practice was lost, and the motor rebuild shop reverted to its standard bulk grease. As you may have guessed, the amusement park was using a grease that was not compatible with the one at the rebuild shop - not very amusing! Henry had developed an effective strategy to avoid the negative consequences of grease mixing: ensuring that one product - the correct grease for the application - was being used by everyone servicing the motors. This starts by validating the product, including the right base oil viscosity, base oil type, NLGI grade, thickener type and additives. But even when you know the right grease to use, the opportunities for the wrong grease to be mixed are many. These would include someone grabbing an incorrect grease gun, new machines or bearings coming supplied with a different grease, contractors adding the wrong grease during repairs, and grease guns being incorrectly labeled. Just like Henry’s motor shop, those who have experienced grease mixing have seen the impact. Most times, the greases soften. The thickeners interact and become runny. In some cases, the thickener bleeds excessively, releasing large amounts of the vital oil and additives, which leaves behind mostly thickener. In a few instances, the mixed grease can harden. These most obvious signs of incompatibility of the “soap” or non-soap thickener have driven an oversimplification of the approach to grease mixing. An internet search will return no fewer than 17 different compatibility charts which only address families of thickeners. It’s more than just the soap that determines compatibility. 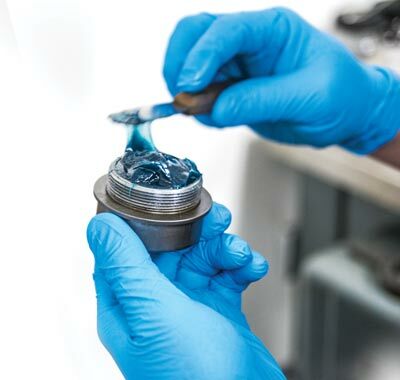 Even when the thickeners are the same, differences in the base oil types, viscosities and additives can render a mixture inadequate or even damaging to a critical machine. For the two lithium-​complex greases in the table below, many of the considerations matched up, including the base oil type (PAO), NLGI grade and even the manufacturer. However, a mixture of these products would certainly not produce an optimal outcome for a given machine, as each is designed for a very different application (speed, temperature and lubricant film type). In addition to these issues, the compatibility charts themselves are often in direct contradiction. For example, some charts indicate that “polyurea” grease is compatible with calcium complex, while others list them as being incompatible. Barium complex and clay greases are identified as being compatible in several charts, but this is contradicted by other charts that describe the mixture as incompatible. After some review, it becomes clear that basing your grease mixing decisions on these charts is fraught with danger. 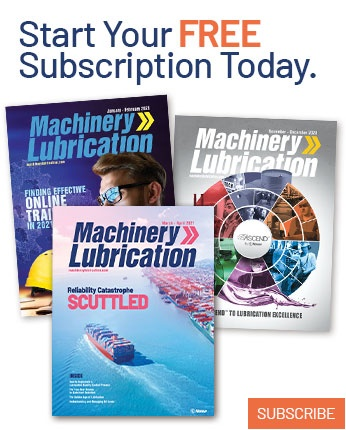 Some turn to lubricant suppliers for guidance. 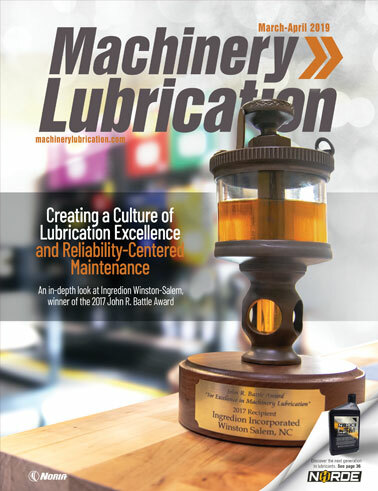 Although most suppliers are quite familiar with the performance capabilities of their products, few have conducted testing on the thousands of competing lubricants to establish which are compatible and which present problems. A “trust but verify” policy can be a sound strategy to ensure success. If you are consulting with a lubricant supplier on a product changeover and are concerned about the impact of grease mixing, take the supplier’s advice under consideration but ask for a copy of the testing that was performed to determine if the product will be compatible in the mixture of concern. Laboratories that test in-service grease samples report that one of the most frequent causes of failure is grease mixing. In electric motor repair, it is quite common to receive reports of “overlubrication” leading to grease being found in the motor windings instead of the bearing housing. However, this sometimes may be a result of grease mixing, which produces a thinning of the grease mixture and allows it to be drawn past the housing shields and into the windings where it is distributed by movement and air flow. The risks and incidents of grease mixing are widespread, so how do you know if two greases are incompatible? In 2011, ASTM issued D6185, the “Standard Practice for Evaluating Compatibility of Binary Mixtures of Lubricating Greases.” It involves preparing ratios of the greases in question and performing three tests. The mixtures are 50-50, 10-90 and 90-10, but could also be 50-50, 75-25 and 25-75. The tests are cone penetration (D217), dropping point (D566 or D2265) and storage stability at an elevated temperature, which is also determined by cone penetration. It is interesting to note that these methods are cited in ASTM standards as not being useful in predicting the performance of in-service greases. Therefore, after a few minutes of mixing, a test that does not predict how a grease behaves in a machine is used to evaluate the suitability of a mixture to perform in bearings or gears for months or years with constant mixing. Addressing these concerns, an ASTM committee has created a working group to evaluate more advanced approaches used by some laboratories to test grease compatibility and decide if improvements in the D6185 standard are warranted. Some of these enhanced tests include extended grease mixing and working prior to testing, as well as using techniques such as a stress rheometer to predict performance issues like hardening, separation of the oil and thickener, and tendencies of the mixture to tunnel or channel in the machine housing. Certainly, avoiding grease mixtures should be the strategy employed whenever possible. 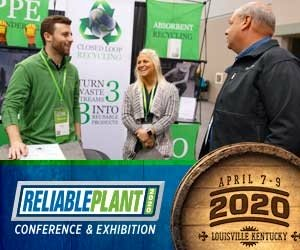 Of course, sometimes it is not cost-​effective to do so, such as when products in use are discontinued or when lubricant consolidation has been implemented as a cost-savings initiative. Successful organizations will carefully consider all the performance parameters and differences between the greases in question. Simply checking a box on a compatibility chart is not sufficient to protect your critical machinery.